Melinda N. Gainer, a native of Hampton Roads, is a graduate of Indian River High School in Chesapeake and received her undergraduate and graduate degrees from Hampton University. Prior to beginning her career in higher education, she completed the National Executive Training Program with Sears Corporation; she was the Assistant Director of Undergraduate Admission and an adjunct Public Relations/Event Management professor in the Scripps Howard School of Journalism at Hampton University. Melinda is currently the Eastern Regional Coordinator of SIU Extended Campus for Southern Illinois University, Carbondale in Carbondale, Illinois where she oversees offices from Connecticut to South Carolina. As a member of the Virginia Advisory Council on Military Education (VA-ACME), Melinda has been Vice President and the symposium logistics coordinator (2014-2017). Melinda served on the Board of Directors for Girls, Incorporated, has been a member of the Hampton Roads Chapter of the International Society of Event Specialist (ISES) as well as the inaugural committee of the Young Executives at the Town Point Club, Norfolk. She is a member of the Chesapeake Chapter of Alpha Kappa Alpha, Sorority, Incorporated where she served as Vice President (2004-2008; 2010-2014) and Chairperson of the Debutante Program (2005-2008;2016-2017). Grace Episcopal Church, Norfolk is where she is a member; she is active with the Adult Choir and the Altar Guild. Melinda enjoys entertaining and spending time with family and friends. Carla Bell- Thompson, a native of Hampton Roads, is a graduate of Bethel High School in Hampton. She received a BS in Business Studies and MS in Education from Southern New Hampshire University. She currently serves as a Project Coordinator, for Military Contracts Programs at the Center for Military and Veteran Education at Tidewater Community College. Carla is a former teacher for the public schools in Virginia, California, and DOD, in addition to an Education Advisor for Navy College Offices, NAS Oceana, with several years of experience in Higher Education as a Liaison transitioning service members interested in educational opportunities. Carla has served as Planning Committee Chair and Member At-Large; this is the seventh year of her volunteer service with VA-ACME. Monique Rico-Chavez, a native of Texas, is currently the Education Consultant for Troy University – Hampton Roads Student Support Center. As a military spouse, Monique is familiar with the challenges service members and families face in pursuing their higher education. She has spent nearly a decade supporting military education while working for Central Texas College and Troy University. In addition, Monique has completed the Green Zone and Virginia Values Veterans (V3) Educator training to assist service members and veterans in the transition from military to university and civilian life. She has been active member with VA-ACME for the past four years. Monique earned her Bachelor of Science in Chemistry from Texas State University and is currently pursuing her graduate degree with Troy University. She resides in Virginia Beach with her husband and three young boys. Florence Hayes-Addison currently serves as a Veteran Services Representative for the Benefits Division of the Virginia Department of Veterans Services (DVS). She received her professional post-graduate degree in Public Administration from Old Dominion University. Florence has devoted over a decade in support of military education. Prior to working at DVS, she served as a Military Education Coordinator for Military Partnerships at the University of Maryland University College - Hampton Roads Region and as an Enrollment Coordinator, with the Military Distance Learning Program at Old Dominion University. Florence has five years of active volunteer service with VA-ACME; she has served as a board Member At-Large, Job Fair Committee Chair and on the symposium planning committee. Arminda Israel is currently the Coordinator of the Military Career Transition Program, Virginia Teaching Licensure in the Darden College of Education at Old Dominion University. She earned a Bachelor of Science in Spanish, Secondary Education from East Carolina University and a Master of Education in Counseling from Boston University. A native of Cuba, Arminda and her husband relocated to Hampton Roads after living in Maine, Holland, and England. She is a former high school Spanish teacher, high school guidance counselor, and Air Force education counselor. Arminda worked at Thomas Nelson Community College prior to coming to Old Dominion University. She served for six years as a board member for the YWCA of South Hampton Roads and has been involved with VA-ACME for the past four years and the symposium planning committee. She resides in Norfolk with her husband. La Toya Sivells, a native of Norfolk, Virginia, has worked at Northern Virginia Community College as their Military Education Specialist since 2009. La Toya has a Bachelor of Arts Degree from Hampton University and a Master’s in Educational Leadership from Liberty University. She is currently a doctoral candidate at Liberty University, pursuing a Doctor in Educational Leadership. Prior to working at Northern Virginia Community College, she began her career as Assistant Director of Sports Information at Hampton University. She also completed a stint as a military spouse counselor for the My Career Advancement Account (MyCAA) program in Arlington, Virginia. La Toya is a board Member-at-Large for VA-ACME, the Scholarship Committee Chair, and a serving member of the planning committee. Keri Reams is the University Development Coordinator for Grand Canyon University, covering the Northern Virginia, Washington D.C., and Joint Base Andrews area. She has completed her Master’s in Education for Adult Education & Training and a second Master’s in Education for Curriculum & Instruction. As a military spouse, she has always advocated and supported military members in their pursuit for higher education and degree completion. She has a diverse background with institutions that are State, Private, For-Profit and Non-Profit. She continues to connect our military community with a vast wealth of the DMV resources. Michael Camden, a proud graduate of East Carolina University, holds an MBA with a concentration in Management from Strayer University. Presently the Enrollment Coordinator at Troy University in Hampton Roads, VA, he has been a leader in secondary and post-secondary education for over 25 years. 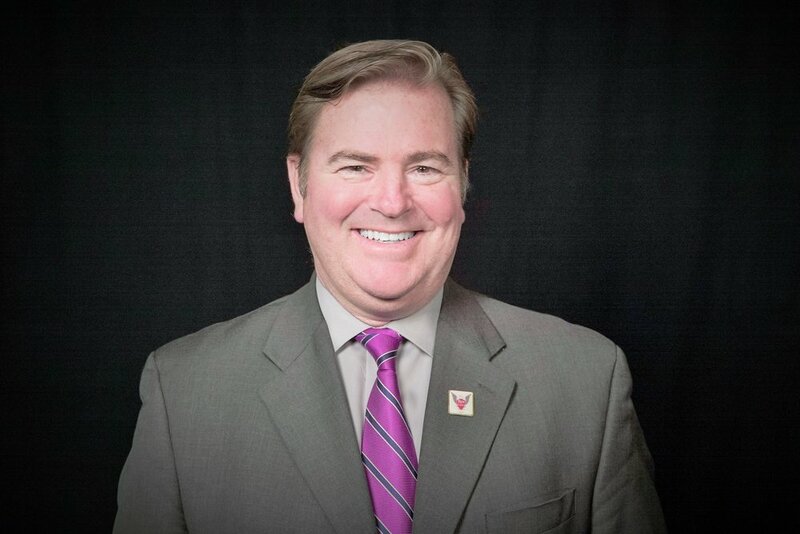 Mike is the first past president of the Virginia Advisory Council on Military Education (VA-ACME) and serves on the board of the Hampton Roads Chamber and the Chamber’s Armed Forces Committee, as well as the Transportation, Parking, and Pedestrian Committee of the Virginia Beach Resort Advisory Commission. Mike, a former high school English teacher, often conducts presentations on Networking, Online Learning Success, Sales, and Team Work. He enjoys volunteer opportunities to support local and national organizations and spending time and travel with family.